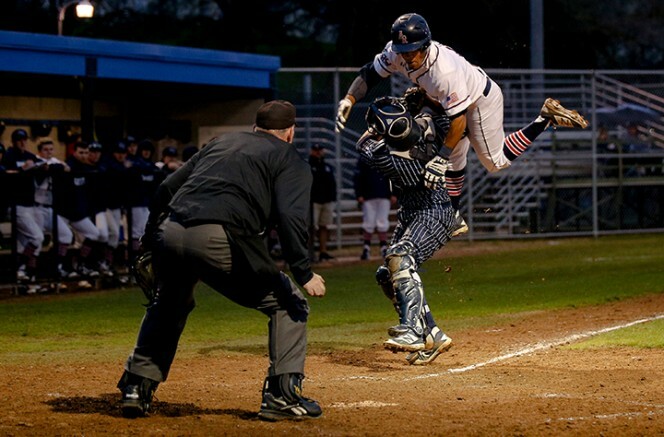 American River College’s baseball season started off with a close game against West Valley College that came down to the final innings when WVC hit a line drive through the shortstop and second base gap to get the game winning run. The game’s final score was 7-6. ARC had a rough start to the game going three-and-out in the first inning and giving up two runs in the second inning. 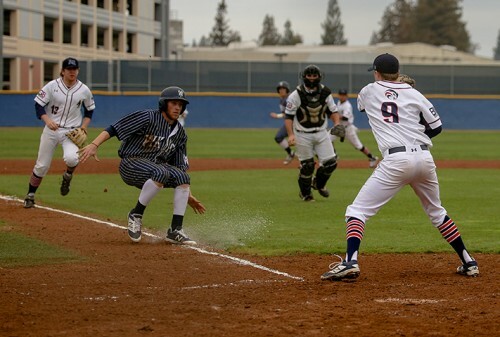 ARC was able to close out the second inning by bringing in its own two runs from catcher Matt Elliott’s 2-run single to bring in Taylor Angley-Holman and Brayden Gomez. West Valley came back with a strong at bat, scoring four more runs and making a 6-2 game, but BJ Marshalls, Robert Contreras and Matt Elliott were able to force a pickle to get the second out of the inning. Contreras got a bunt down the third base line to pick up one and freshman outfielder Jared Biggs hit to center moved Contreras, getting runners on first and second. Freshman outfielder Brayden Gomez brought in Contreras and Biggs to make it a 6-4 game. Going into the top of the fourth ARC played solid defense and shut out WVC all the way till the top of the eighth. ARC pulled Bower in the fifth and put in freshman Kurt Johnson. Johnson was able to keep WVC scoreless for those four innings with help from his defense and throwing solid for throughout the four innings. “I start out with a fastball and work in my other pitches with that… I was just focused on getting that first strike,” said Johnson of his pitching strategy. WVC still wasn’t able to silence ARC’s bats, as ARC scored two more runs through Elliott and freshman shortstop Mike Hatfield who were brought in by a Biggs hit to tie the game 6-6. ARC was able to hold steady through the bottom of the eighth when WVC’s Andrew Carter made a line drive through the shortstop and second base gap to bring in infielder Mike Svozil and make it one run lead for WVC. Closing pitcher Ian Codina was then brought in for the rest of the game and two strikeouts and two walks, but didn’t allow any hits. “I came in and got outs for the team and did my job,” said Codina. ARC had two more at bats but were unable to score in the final frames. One thing that most players felt kept them from winning was too many mistakes and errors. “We just need to work on little things, like taking care of the baseball and cutting down on errors,” Codina said. Be the first to comment on "ARC baseball loses its season opener 7-6 to West Valley College"